HPPE(high strength polyethylene) is well known for the strongest fiber in the world. (With same weight, HPPE is 15 times stronger than steel fiber and 40% stronger than aramid fiber). HPPE is thinner and more flexible than leather and cotton. With excellent durability,HPPE provides outstanding abrasion and cut resistance. HPPE refers to ultra-high-molecularweight, high-density polyethylene(UHMWPE). 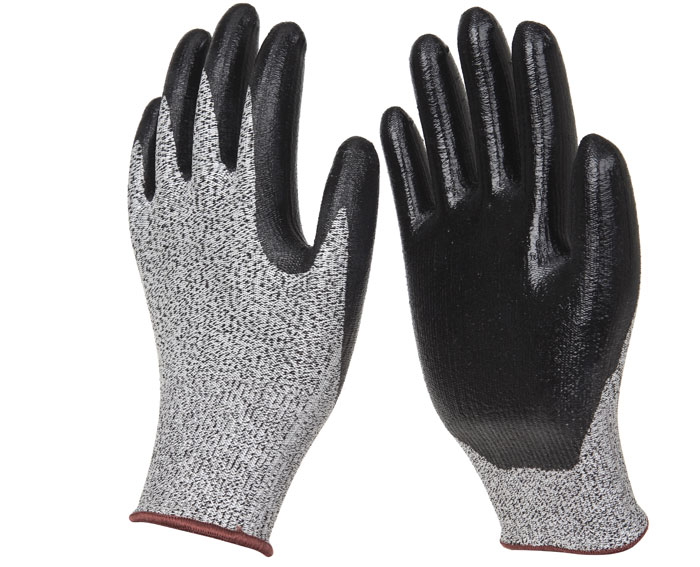 HPPE/ Spandex NBR coated gloves are knitted HPPE and Spandex liner with acrylonitrile-butadiene rubber coating providing high cut and abrasion resistance, so gloves are quite durable and reusable. 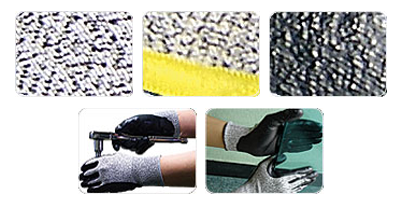 Coating offers good resistance of oil and chemical and non-slipping. Ideal for glass and metal fabrication, Automotive industry, petrochemical industry, construction, forestry, and other dangerous and rough work places needed high cut and chemical resistance.